The one thing I really love the most about Annie's images is that they usually come with quite a few! Just look at how many wonderful images this comes with! :) She is just so adorable as well! Hi, it's Sandy here from A Little Piece Of Heaven! It was a hard choice, but I chose the middle image to work with! They just are all so amazing! These colors just shouted out to me for some reason! I used Spellbinders, Majestic Elements to give it a framed in look! I also used Spellbinders, Floral Ovales as well! The butterfly is from Cheery Lynn! If you haven't been over at the Digi My World Store, you really should! There are some wonderful page kits and cut files as well! Anyway, I hope you enjoyed today's post! Hello everyone! This is GiGi from The Cricut Bug and I have a fun card to share. 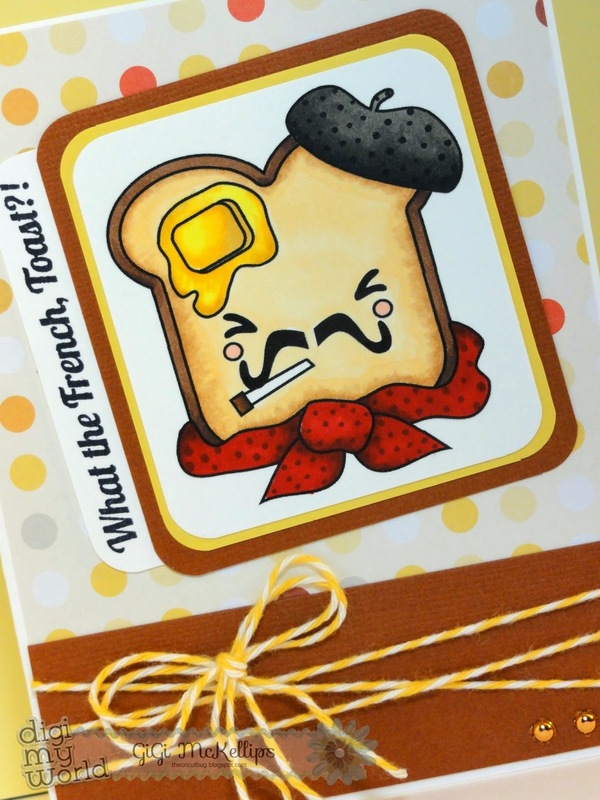 I used the Kawaii French Toast Digital Stamps to create this card. 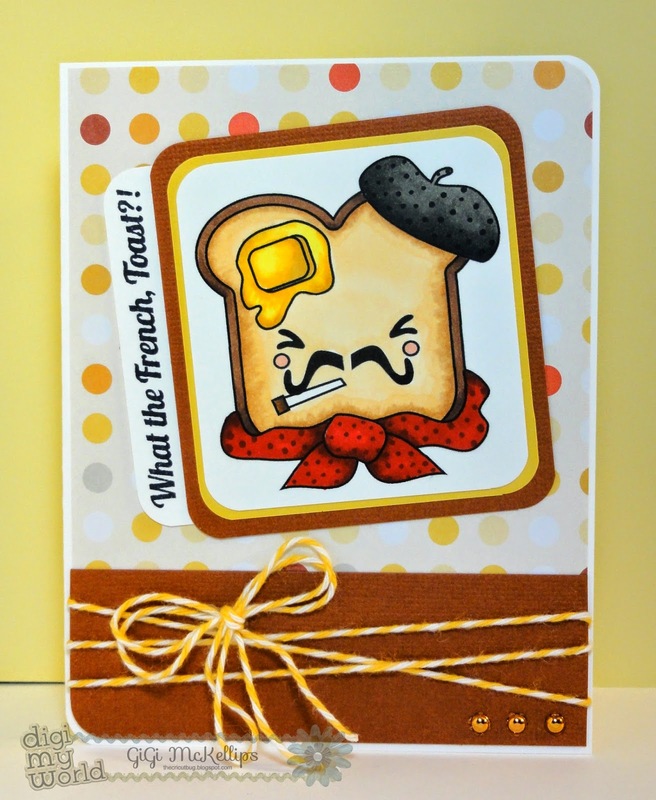 I printed the French Toast and colored it with Copic Markers. I matted it in two colors and added the sentiment banner to the side of it. The sentiment was stamped from the Jaded Blossom Kawaii Sentiments and I used a corner rounder to round the edges. Then I glued it to the side of the mat. 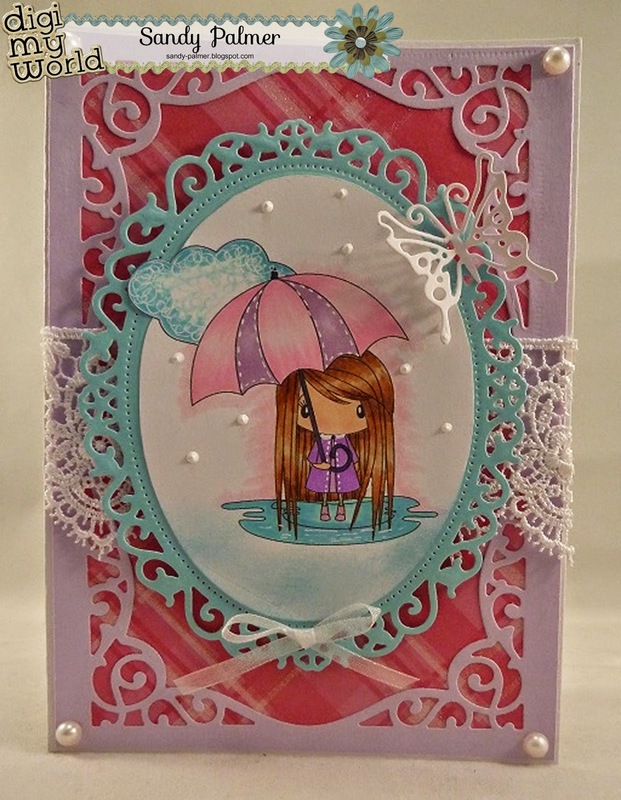 I tied some twine around the bottom of the card and added some gems using my I-Rock. 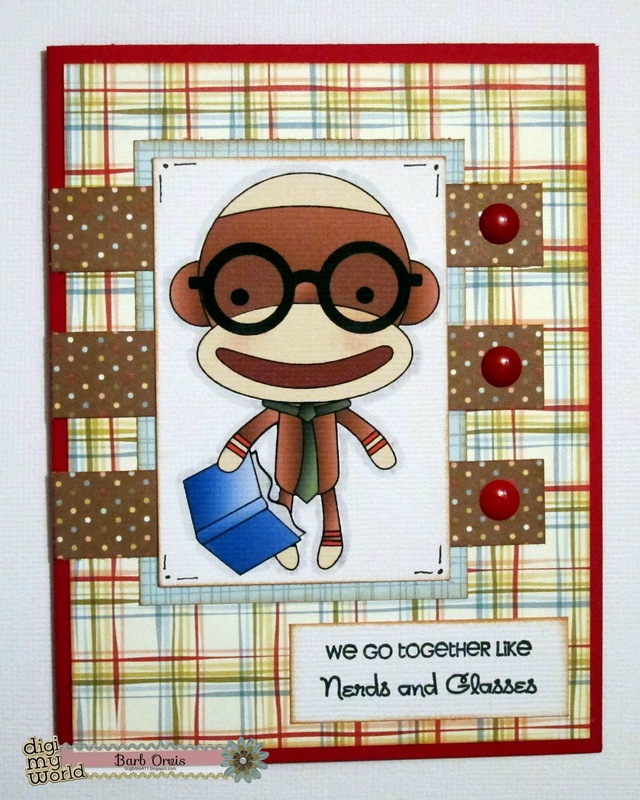 Hello everyone, it's Barb from BugBites and I am here with a cute card using an image from the Sock Monkey Mayhem set. This set is just too stinkin' cute!! I layered some coordinating papers after coloring and cutting my image using the silhouette design studio. The sentiment can be found here in the Jaded Blossom store. 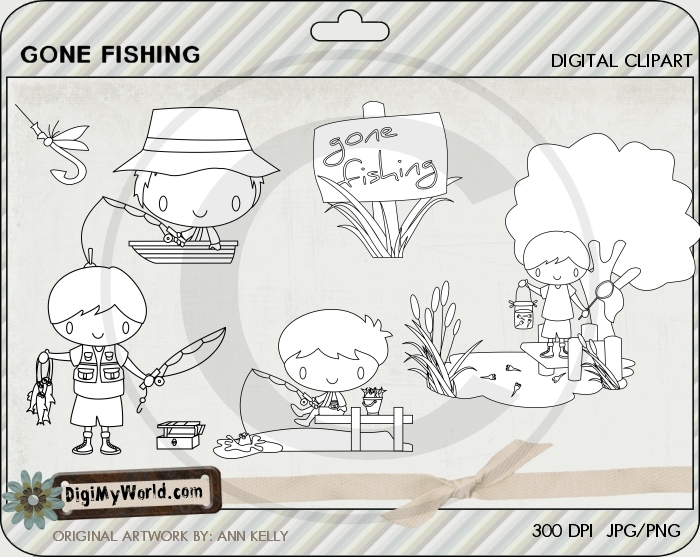 Be sure to check out the Digi My World store here for this and other cute digital stamps and clip art for those of you who do't want to color. It's Larelyn here to share a masculine card with you. I'm sure many of you are thinking ahead to your Father's Day creations and this fabulous set from Digi My World is perfect. 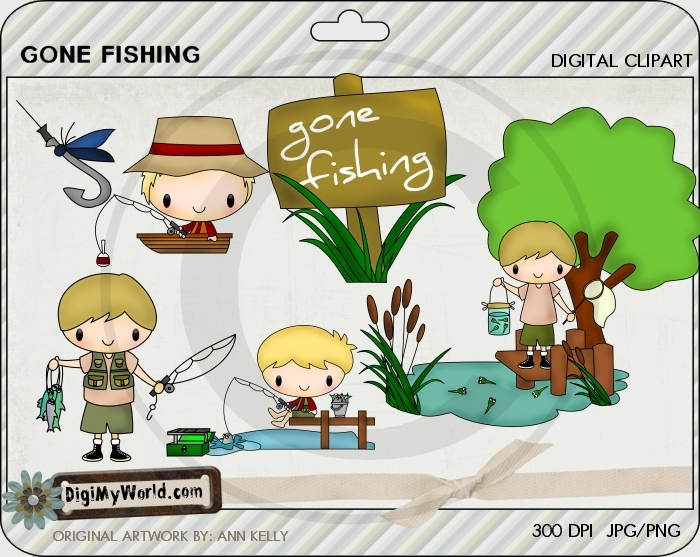 I used two images from the Gone Fishing set. This is a wonderful set with lots of images for you to choose from. I used the digital images but it also comes in clip art so all you have to do is print and cut! For more details about my card, please visit my blog by clicking HERE. Hello! Melissa with a new card to share with you today. 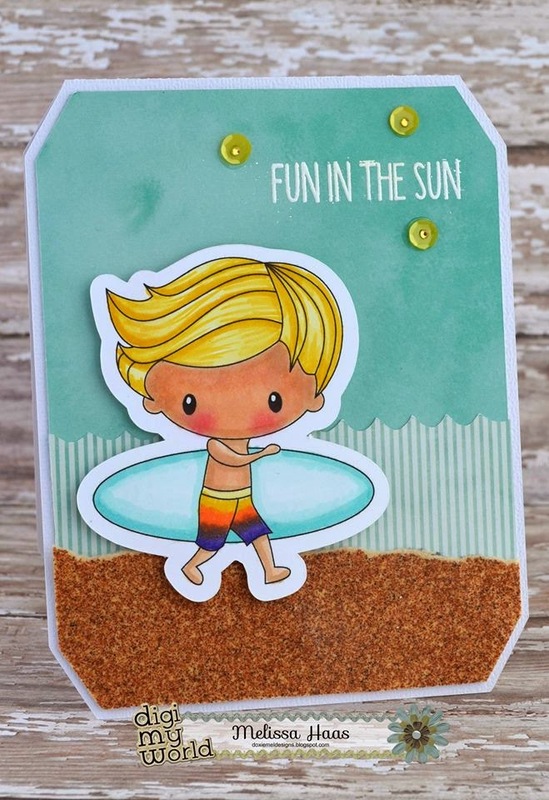 Since it has been HOT in southern California, I thought a beach themed card would be fun. Here is the sweet Surfer Boy Corey. The set included four poses with surfboards. To make the card base, I used the Simple Label Card Base from SVG Cutting Files. I layered some waves from Tubing Fun Jenna and some real sand paper. The sentiment is from Jaded Blossom, Happy Summer. If you would like to know any of the ingredients that I used on my card, please go and check out my blog! Hello everyone! 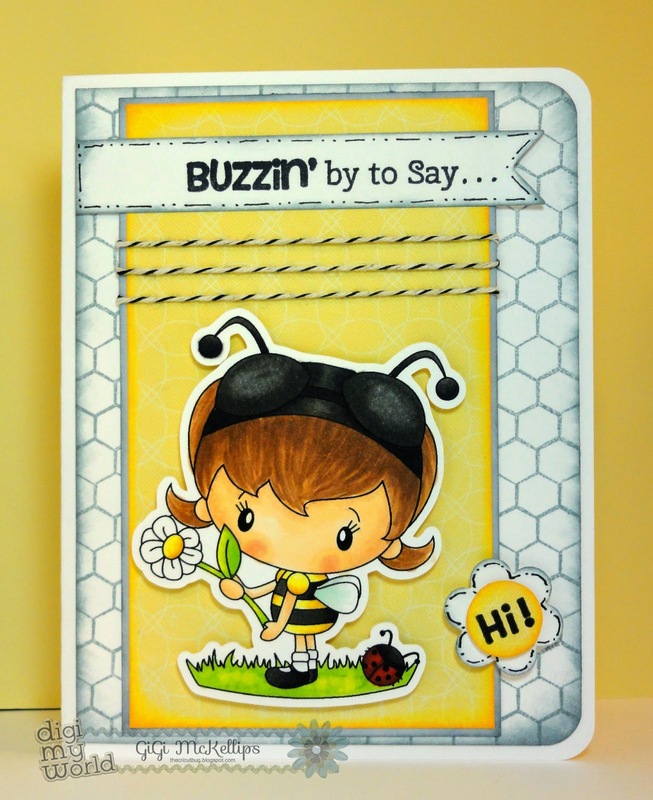 This is GiGi from The Cricut Bug and I have a card to share using the Cute As Can Bee Digital Stamp set. 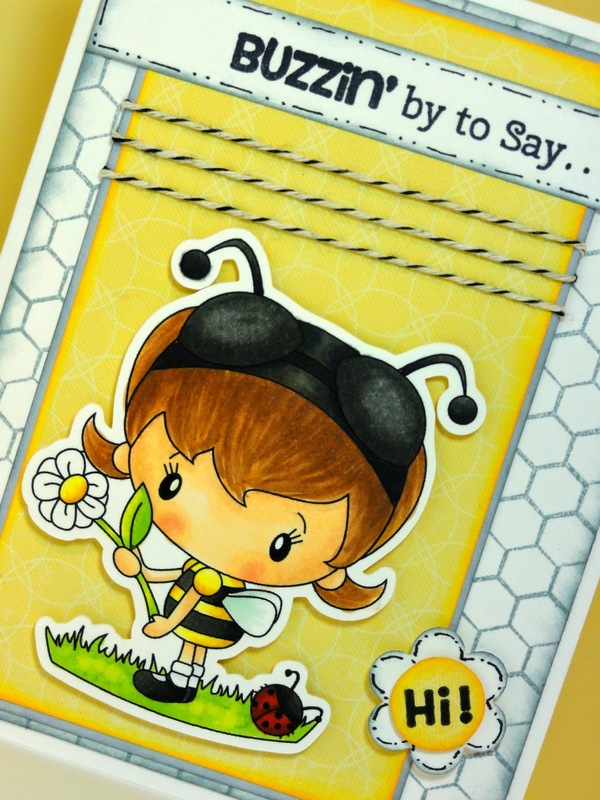 These cute little bee girls are just adorable! I love this set! I printed and cut out the bee girl with my Cameo. I colored her with copic markers and mounted her to the mat on pop dots. The background was stamped and I added some twine to the mat. I stamped the sentiment onto a banner and a punched flower that I added black stitching lines too with a pen. Hello! It's Barb from BugBites. I have a super simple and quick card to share today. You can make a card quickly but still have it look like you spent hours making it. 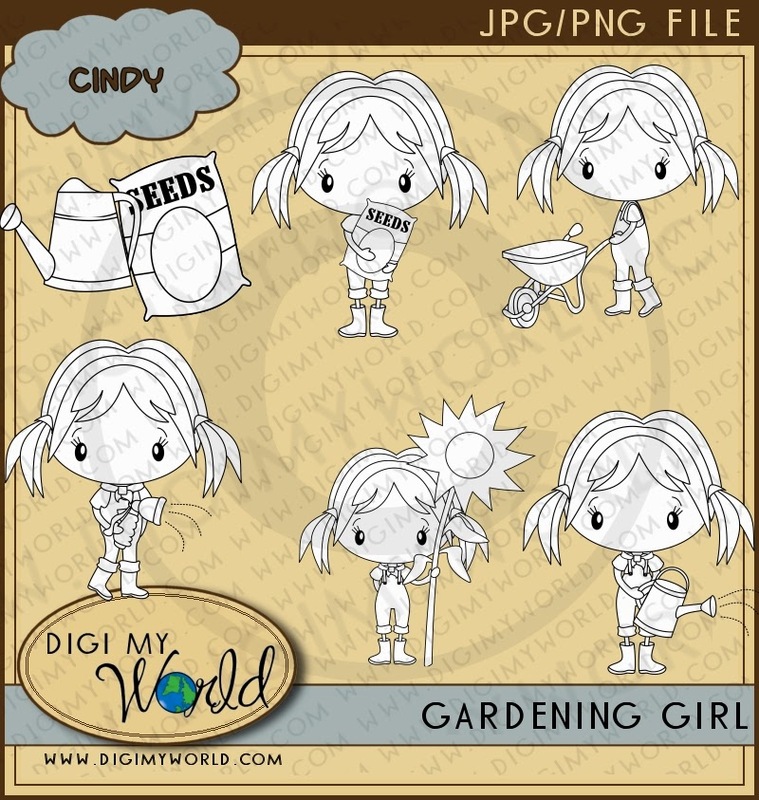 The secret, Digi My World clipart. 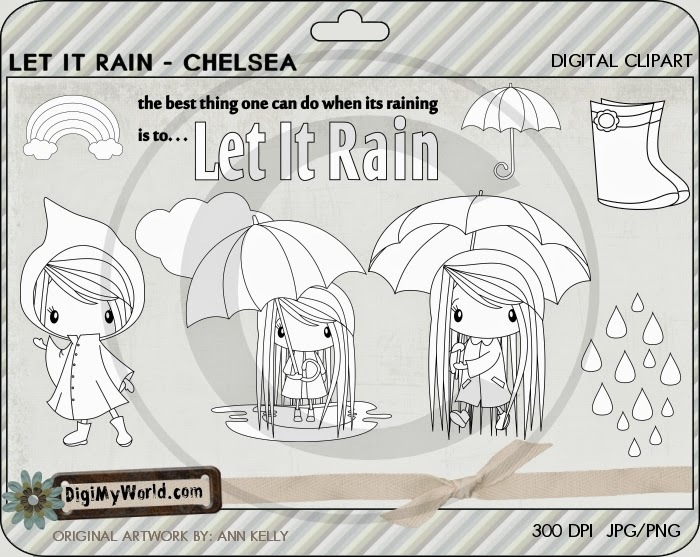 So many cute images all colored and ready to print and put on your project. 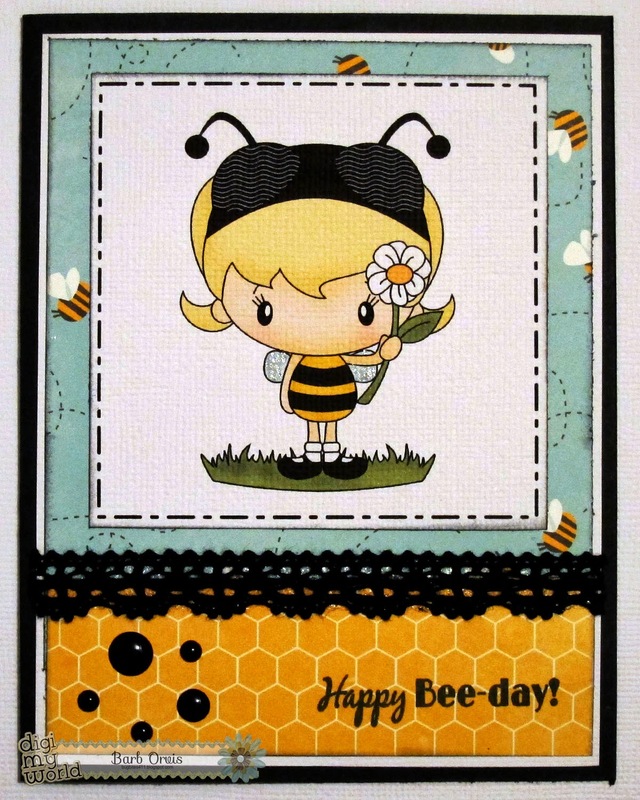 I found this cute little bee image in the store called Cute as Can Bee. It comes with a few different versions all in one set. I brought my image into the Silhouette Design Studio, added a border and clicked print. It was so super fast, My card was done in about 20 minutes. You can find all the details on my blog here. Give the clipart a try and see how how easy they are to turn into fabulous projects. It's Larelyn from Handmade From My Heart. It's time to be thinking about sun, sand, and vacation. Annie has designed the perfect set to celebrate those wonderful beach moments - LUAU - which can be found in the Digi My World store. I imported two of the digis to create this card. The papers and sentiment are from the Pink Paislee Nantucket set. I also added some American Crafts ribbon and Recollections pearls. The image is colored with Copic markers. Thanks for taking a look. 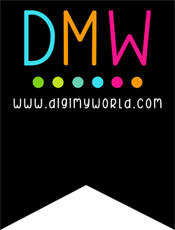 I encourage you to visit the DMW store where you'll find amazing digital art which is so much fun to color along with Clip Art designs, perfect for those of you who want to print and cut the precolored designs. Hello Everyone! Melissa from Doxie Mel Designs with a card for you today. Oh this stamp is called So Maude, but I like to think of her as my Cissy. I don't remember actually seeing my sister's hair looking like this.. but thanks to Kodak, I can see my sister's hair in its poofed up blonde glory. Here is a peek at the inside of this card. Thanks for looking at my card today and have a great day!